As pop duo A Great Big World maintains their #1 status for the third week with “Younger”, comeback kings the Backstreet Boys are ready to kick them out, advancing 3-2 with “Don’t Go Breaking My Heart”. Two new tracks crash the top 40, with the new one from Justin Timberlake (“SoulMate”) coming in higher at #35. The song dropped on July 3 as a surprise release. In the radio world, “SoulMate” officially jumps into the top 40 at both the Hot AC and Top 40 formats. Two notches lower, at #37, Ariana Grande‘s “God Is A Woman” bolts onto the countdown, the second radio single from her upcoming Sweetener set. Its music video and lyric video are both in the top ten on YouTube’s Trending chart, with early airplay in several larger markets. Congrats to Chad King and Ian Axel, better known as A Great Big World, who land their third #1 song on my personal chart with “Younger”, up 3-1. Their longest run at the top so far was in 2014 with “Already Home”, which spent seven weeks there. A pack of three tracks break into the top ten this week, led by George Ezra‘s “Shotgun”, bouncing from 16-8. It recently became his first #1 song in the United Kingdom. This week’s Biggest Mover belongs to last week’s Highest Debut: “Come On To Me” by Paul McCartney, jumping ten spots from 38-28, though Lenny Kravitz‘s “Low” nearly ties that move, as it leaps nine spots from 30-21. The only debut in the top 40, starting at #37, is the radio single from the soundtrack to Mamma Mia! Here We Go Again. Just under the top 20 on the AC chart, “Fernando”, a cover of Abba‘s 1976 AC and CHR hit, is done by two of the film’s stars: Cher and Andy Garcia. At 72, Cher is the second-oldest female performer to ever make my list, just behind Christine McVie, who was 74 when “In My World” (with Lindsey Buckingham) had its last two weeks in my top 40 last summer. The two acts involved, Abba and Cher, charted in the top 40 of the Hot 100 together just once during the summer of 1974, when the former was in with “Waterloo” and the latter was in with “Train Of Thought”. In the middle of a U.S. promotional tour and raking in some new stations at both the AAA and Hot AC formats, the singer and songwriter known as Passenger (born Mike Rosenberg) is looking to score his second big Stateside hit with “Scare Away The Dark”. 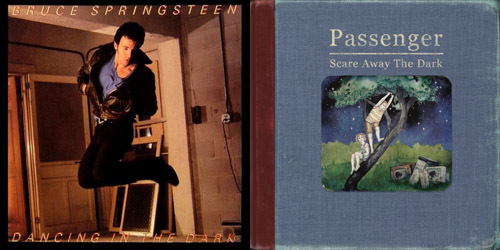 Now, of course, when he’s had three #1 singles in a row on my personal chart, you can probably figure that “Scare” is bound to be another big record on my top 40. (Spoiler Alert: it looks like it’s going to be just outside the top ten on my next update.) However, when it comes to a national audience, things could look mighty different. This was only big single for this once-married duo of Cathy and Jim Post, the latter of whom was inspired to write this song from his experience at a peaceful gathering in New York City. The folky “Reach” spent three straight weeks at #10 in June. Nearly a decade after first charting as one half of Sonny & Cher, the legendary Mrs. Sarkisian put her solo career into full gear with two consecutive #1 singles, 1973’s “Half-Breed” and this. She’s currently performing on her Dressed To Kill tour. They call him The Boss, and given the seven top ten singles in a row from Born In The U.S.A., that nickname was especially true then. “Dancing” stalled out in the #2 spot on the Hot 100 for four weeks, but it spent two weeks at #1 on rival Cashbox. Originally from the soundtrack to Eddie And The Cruisers, “On” originally peaked at a lowly #64 in 1983 and the film didn’t do much better. Thanks to some help from HBO, the song earned a second run based on the repeat airings and went top ten. In perhaps one of the most interesting comeback stories of the 80’s, Russell trumped her #30 peak for 1979’s “So Good, So Right” with this big top ten ballad in 1988. 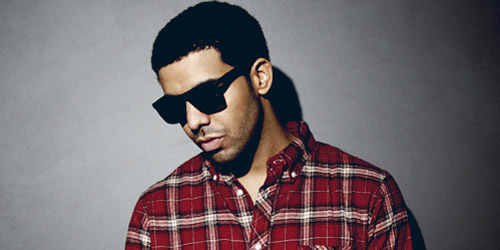 It hit the top ten once again in 2012 as a sample on rapper Flo Rida‘s hit “I Cry”. After a pretty serious bus accident in March 1990 during the promotion of her Cuts Both Ways album, Estefan spent much time in rehabilitation before returning the studio to record Into The Light. “Coming” is her last #1 on the Hot 100 thus far. Just a few weeks ago, this was the #1 single on both CHR radio and the Hot 100. It was the third to be released from Perry’s PRISM and is the biggest of the era so far. However, it’s now falling as “Birthday” unwraps the gift of fresh airplay and sales. For more ditties that keep it “dark” and lyrics that let the light in, follow the blog below or find PGTC on social media by clicking the “Get Social!” tab. Also dancing up the charts this week are Chicago trio Krewella with a full-length album Get Wet (iTunes), which features the singles “Alive” and “Live For The Night”, plus DJ Zedd is out with a deluxe edition of his album Clarity. The latest single from that is “Stay The Night”, a collaboration with Hayley Williams of Paramore (iTunes). Other albums out this week include Alan Jackson‘s The Bluegrass Album (iTunes), Jason Derulo‘s Tattoos (EP) (iTunes), Metallica‘s soundtrack from Through The Never (iTunes), R5‘s Louder (iTunes) and Sammy Hagar‘s Sammy Hagar And Friends (iTunes). We’ve all been waiting for the second half of The 20/20 Experience to arrive… what kind of numbers will Justin Timberlake do next week? A preview is coming in six on a special Music Monday! Something happened on the way to “Heaven”. Need some rock without the jingle bells? Let me try and help. Here’s your roundup of some of the new music releases for this week, in stores on December 11. Unorthodox Jukebox, the second studio album from Bruno Mars, hits stores today, featuring the smash “Locked Out Of Heaven”. “Young Girls”, released to digital outlets several weeks ago, is set to be the second radio single. Look for it to enter in the top 5 on the album chart. Rapper The Game releases Jesus Piece, his fifth album, of which three have debuted at #1 on the album chart thus far. It’s currently #1 on iTunes, but it likely won’t debut near the top. However, a top 10 entry is possible. Green Day release the third album in their 2012 trilogy, ¡Tré! However, their promotion vehicle is still stuck in park, so expect this one to be in the lower top ten or even miss it altogether. Light rockers Lifehouse release their followup LP to Smoke & Mirrors called Almería. First single “Between The Raindrops”, featuring Natasha Bedingfield, is top 30 at Hot AC radio. Physical stock is a little low on this one, and there’s no first week sale price for it, so expect this one in perhaps the top 30. The third Christmas album from the Glee franchise features their takes on standards like “White Christmas” and “The First Noel”, as well as a rendition of “Hanukkah, Oh Hanukkah”. Look for it to enter somewhere in the top 40; doesn’t look like this one will be as big as the first two, and considering how low the ratings have dropped this season, it’s understandble. If you’re a fan of the television show Nashville, some of the songs featured on various episodes are on a compilation entitled The Music Of Nashville: Season 1, Volume 1. Star Hayden Panettiere sings the first single from it, “Telescope”, already top 40 at Country radio. One half of the duo OutKast, Big Boi, releases a solo album this week, Vicious Lies and Dangerous Rumors. Boston-based band Boys Like Girls release their new full-length studio album, Crazy World. Lead single “Be Your Everything” just missed the top 40 in CHR airplay. For you movie buffs, the soundtracks to On The Road, The Hobbit, and This Is 40 are all out this week. Quebec Magnetic, Metallica‘s latest live performance DVD, which was filmed three years ago. Beck‘s Song Reader, which is a sheet-music album. A paperback version of Josiah Howard’s biography of singer Cher, named after her 1999 hit Strong Enough. A virtual duet between Bing Crosby and Michael Bublé, “White Christmas”, which has already garnered a lot of adult contemporary airplay. “Mary And Joseph”, a Christmas tune from Country superstar Tim McGraw. “Boyfriend” by new Country singer RaeLynn, formerly from the television show, The Voice. “C’mon Let Me Ride” by singer-songwriter Skylar Grey and featuring Eminem. Enjoy all the new music out this week!